I have been making these rolls for my Christmas dinner for as long as I can remember. My Mom always served Snow Flake rolls with Christmas dinner and I just carried on the tradition. But I do one thing different. 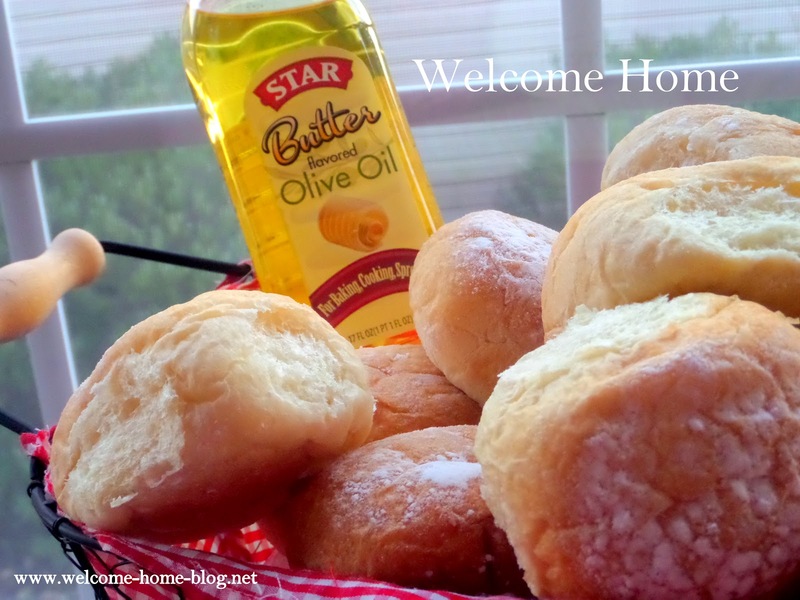 I use Star Butter Flavored Olive Oil and it makes my rolls so soft with a mild buttery flavor. And I cut back on saturated fats, sodium and cholesterol too without losing that buttery flavor. My Mom would have loved using it too! Sometimes I use a little lace snowflake doily and then sprinkle on my flour to really dress them up for the holidays. Dissolve yeast it with a pinch of sugar in 2 tablespoons of the lukewarm water. Let the yeast and water sit at room temperature for 15 minutes, until the mixture has bubbled and expanded. If you're using instant yeast, you can skip this step. Combine the dissolved yeast (or instant yeast) with the remainder of the ingredients. Mix and knead everything together—by hand, mixer or bread machine set on the dough cycle—till you've made a smooth dough. If you're kneading in a stand mixer, it should take 5 to 7 minutes at second speed, and the dough should barely clean the sides of the bowl, perhaps sticking a bit at the bottom. In a bread machine (or by hand), it should form a smooth ball. 9" x 13" pan. Gently deflate the dough, and transfer it to a lightly greased work surface. Divide it into 16 pieces. Shape each piece into a rough ball by pulling the dough into a very small knot at the bottom, then rolling it under the palm of your hand into a smooth ball. Place eight rolls in each of the round cake pans (or all 16 rolls in the 9" x 13" pan), spacing them evenly; they won't touch one another. Cover the pan(s) with lightly greased plastic wrap, and allow the rolls to rise till they're very puffy, and have reached out and touched one another, about 1 hour. While the rolls are rising, preheat the oven to 350 degrees. Bake the rolls until they're a deep golden brown on top, and lighter on the sides, about 25 minutes. Remove the rolls from the oven, and after 2 or 3 minutes, carefully transfer them to a rack. 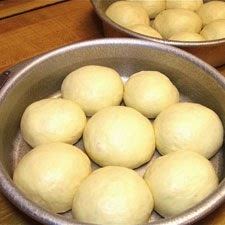 Gently shake four from a sifter or shaker on top of warm rolls. You can buy Star Butter Flavored Olive Oil here: Raley’s, Walmart, Stater Bros., Food Maxx and online at http://bit.ly/ButterFlavoredOliveOil.